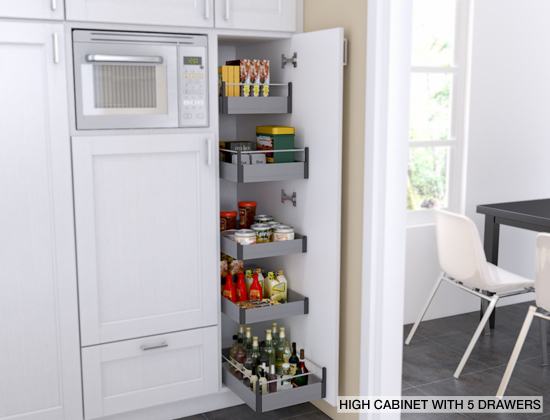 A combination of different cabinet sizes makes this pantry especially useful. IKEA sinks come in different sizes and can be accessorized with affordable units that provide additional counter space. 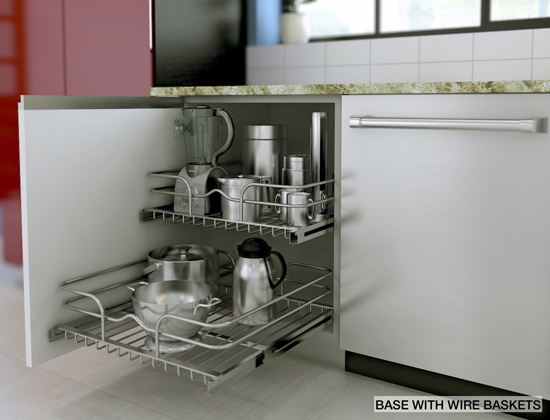 This is especially useful in smaller kitchens where more working surfaces are needed. Even when this specific sink model requires a larger cabinet, the sink bowl can be re-purposed with accessories. Combined with matching accessories, the BOHOLMEN inset sink serves as a working area too. IKEA transitional doors can give a classic, timeless look to your kitchen. A transitional IKEA kitchen blends the old with the new and adds a touch of creativity to create a flexible gathering place. Door styles can be more traditional but modernized with accessories such as IKEA handles, for example. We’ve discussed how handles can change the look of a kitchen in previous blog entries. 1. Coastal, cottage style. Some examples: FAGLEBODA, SVEP, FAGLAVIK. These work well with shaker-styled doors or beaded-panel doors. Preferred colors are: light wood tones and white. Tip: You can also add a few accent doors in a dark wood tone such as in an island, corners or appliance cabinets for added visual interest. Suggested door styles: LIDINGO, STAT, APLAD, RAMSJO. 2. Classic handles with modern doors. Some examples: FINTORP, LINDSAL, VARDE. These are bolder, noticeable IKEA handles. They work well with modern, sleek doors for a transitional style that will give your kitchen an updated, yet classic look. Suggested door styles: GNOSJO, RAMSJO, ADEL. 3. Modern handles with classic doors. Some examples: LANSA, KANSLI, SNEJD. Modern handles can update the look of a kitchen instantly. Stainless steel finishes are usually combined with white doors or with subtle wood tones. Tip: These will look especially stunning if you have stainless steel appliances for your IKEA kitchen. Suggested door styles: ADEL, RAMSJO, NEXUS, LIDINGO. You already have an idea of how your IKEA kitchen will look. However, you haven’t planned where you’re going to place all the contents. It pays off to plan ahead… After all, your IKEA kitchen should adapt to what you use and not the other way around. 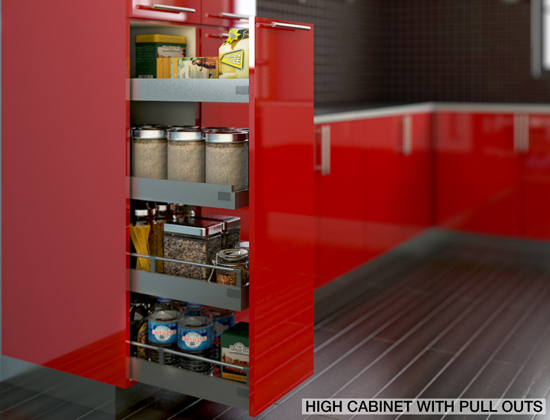 AKURUM Base cabinets will hold many things: pots, pans, cooking utensils, canned goods, baking trays, etc. It’s always useful to compare between the choices you’ll have. This time, we compare pull-outs and shelves for base cabinets. 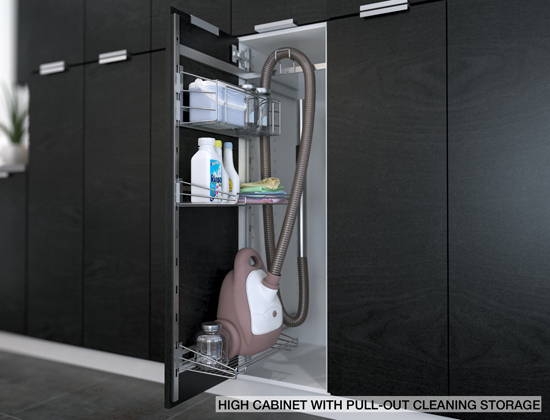 Their biggest advantage: They are a cost-effective solution: you can still have storage room and save lots of money while remodeling your kitchen. They can also be moved within the cabinet, giving you a bit more of flexibility. Their main issue: The use of shelves in base cabinets is poor in ergonomic terms. Quite often you’ll find that you have to bend or stretch to locate the items you’re looking for. They can be troublesome if you have elderly family members with physical limitations in your household. AKURUM base cabinets in RAMSJO black-brown with a pull out accessory.